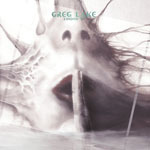 Share the post "Album review: GREG LAKE – London ’81"
Now here’s an interesting find from the back pages of Greg Lake’s illustrious career. Recorded in 1981 with Gary Moore on guitar it is more than just a curios. Two years after ELP split, Lake headed out in October 1981 on a lower-key tour. This gig was recorded at London’s Hammersmith Odeon at the very end of that excursion. We might overlook that Lake’s first solo album, released a week or so before the tour, featured Moore on guitar. Also in his band at this time was the late Tommy Eyre on keys (Joe Cocker, Juicy Lucy), Ted McKenna on drums (Sensational Alex Harvey Band, Rory Gallagher) and he plucked Tristram Margetts (bass) from the band he had mentored in the early-seventies, Spontaneous Combustion. It’s fair to say that by the end of this tour the band were fully “on the money” and unsurprisingly the setlist is peppered with “greatest hits”. Starting with two ELP standards ‘Fanfare For The Common Man’ and ‘Karn Evil 9′ the album is a showcase for the flexible talents of the much-missed Moore, and the inclusion of ‘Nuclear Attack’ (from that first solo album) and ‘Parisienne Walkways’ merely re-affirms this. With only one curveball in the shape of ‘You’ve Really Got A Hold On Me’ and several new pieces – ‘The Lie’, ‘Retribution Drive’ and ‘Love You Too Much’ – the album climaxes with two powerful versions of ’21st Century Schizoid Man’ and ‘The Court Of The Crimson King’ attesting Lake’s one year tenure with King Crimson. In addition to the perhaps unexpected inclusion of Moore on guitar, several of the new songs were co-written with Tony Benyon who some might recall provided cartoons for NME in the seventies. This entry was posted in ALBUM REVIEWS, ALBUM REVIEWS (Mobile), All Posts and tagged album, ELP, Gary Moore, Greg Lake, Hammersmith Odeon, London, London '81, prog, progressive, review, rock, Rory Gallagher, Sensational Alex Harvey Band, Ted McKenna, Thin Lizzy, Tommy Eyre. Bookmark the permalink.